REGINA, SK – Two Regina breweries have announced the release of a new collaborative beer that pays tribute to the city’s historic Warehouse District. Soul of the City beer is based on a Canadian stock ale style that would have been brewed in the Warehouse District early in the 20th Century. The ingredients are simple; a rich Canadian pale malt similar to historical pale malt, and Brewers Gold hops (bred from wild prairie hops) which add subtle notes of berry and spice. It was then fermented cool with house yeast from District (lager yeast) and Rebellion (ale yeast) for an extra clean profile. The beer also features artwork created by Nathan Donahoe of Ace of Swords Tattoo, a tattoo shop that opened in the Warehouse District last year. Soul of the City is available now exclusively on tap at participating restaurants and pubs in the Warehouse District. 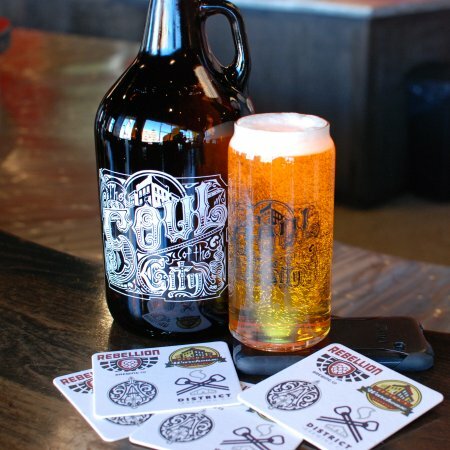 A limited edition growler featuring Donahoe’s artwork will be available at Rebellion on Saturday November 19th starting at 11:30 AM, while supplies last.